AsMama events are great fun besides giving parents of small babies a venue to share information with other parents and participate in useful workshops. Babies are the future of any nation, and the tots are the focus of the AsMama Parents and Babies Fair at San-A Ginowan Convention City departments store on Sunday, Jan. 17th. AsMama is a company that a frustrated company executive Keiko Koda established in Yokohama in 2009. She was frustrated as she saw many of her female professional colleagues to drop off from a career path after having their first baby even though they wanted to stay, as they could not arrange flexible baby care services, especially when there were unexpected emergencies. The event has workshops and specialists whom the parents can consult with. The result was AsMama that essentially is a membership service, in which members help each other for a nominal fee when the need arises. The company does not charge membership fees but a membership service, in which members help each other for a nominal fee when the need arises. The company that has some 10,000 members does not charge membership fees but a ¥500 charge is paid directly to those members who provide services such as picking up a child from a daycare or school. Instead, AsMama earns revenues from partnerships with corporations that sponsor more than 400 AsMama events each year. 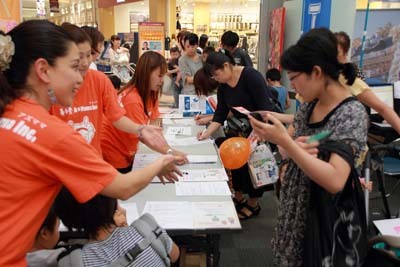 The AsMama event at San-A Convention City is the first and largest parent-and-baby events ever on Okinawa. At the event parents have an opportunity to mingle with other parents, share information about parenting and obtain useful information from professionals. 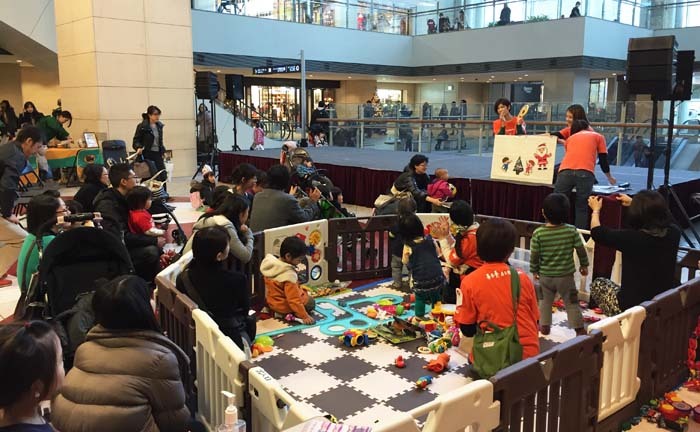 There are booths like one holding a seminar on baby signs, a workshop corner for making baby toys and a stage for a dance performance. One of the highlights and a sure crowd pleaser is a baby crawling race. Babies between 0 and 1 year of age and their parents and family members are invited to participate in the event. Many companies related to baby products are joining in the event. The event takes place on the second floor event space of the San-A Ginowan Convention City on Sunday, Jan. 17th from 11:00 to 16:00. Admission to the event is free.